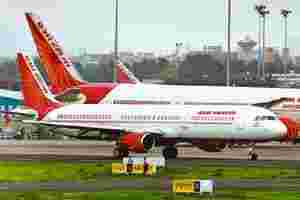 Mumbai: Air India Ltd has won the central bank’s approval for a debt recast plan crucial to the state-run carrier receiving desperately needed government funds over the next 10 years. The Reserve Bank of India (RBI) has, however, approved some of the loss-making carrier’s proposals while rejecting others, according to two senior executives of the airline. Standard assets are loans that have not turned bad and for which banks only need to set aside a minimum amount. Once an asset is classified as a non-performing one, banks are required to set aside 70% of the amount. The debt recast is “quite fair" and will “offer a big relief" to Air India, said Vaibhav Agrawal, vice-president (research) at domestic brokerage Angel Broking Ltd. Meanwhile, Air India met 15 bankers on Monday in New Delhi and the lenders broadly agreed to the carrier’s debt restructuring proposals, according to a senior civil aviation ministry official. However, the banks have asked Air India to press RBI for some more relaxations. “The banks requested Air India to renegotiate with RBI for better terms for treating non-performing assets," he said, without elaborating. The ministry official said a group of ministers headed by Union finance minister Pranab Mukherjee will meet Tuesday to decide on the next equity infusion of ₹ 6,750 crore in Air India. According to the latest plan submitted to the government, Air India is seeking total equity support of ₹ 42,920 crore till fiscal 2021. It also wants government guarantees for aircraft loans worth ₹ 30,584 crore till fiscal 2021. Air India’s board will meet Tuesday to decide the future course of action in the context of RBI’s approval and the lenders’ meet on Monday. The central bank rejected Air India’s proposal to assign normal risk weightage to the restructured loans. It also turned down a proposal that the debt be exempted from asset classification downgrades if the carrier failed to pay dividends due to banks within the prescribed limit. A normal risk weightage would have freed up cash for the lending banks, increasing the confidence of lenders in future lines of credit to Air India. Air India’s debt recast proposal seeks to convert ₹ 11,000 crore of short-term working capital loans into long-term debt, thus extending the national carrier’s repayment period. The airline also wants to turn ₹ 7,000 crore of debt into cumulative preference shares bearing an 8% dividend rate that lenders will subscribe to. The carrier currently has a total debt of ₹ 43,777 crore, including loans and dues it owes to vendors such as oil companies and airport operators, Parliament was told on Thursday. Air India expects ₹ 1,000 crore a year in terms of savings in interest payments from the debt recast. “RBI has done an ideal and level playing field for Air India. Air India will have to take an immediate pinch as RBI has denied normal provisioning on the loans," Angel Broking’s Agrawal said. The central bank’s approval for the debt recast is critical as the cash-strapped carrier’s management has committed to posting an operating profit in the next fiscal year and a cash profit by 2018. These conditions were set by bureaucrats overseeing the airline’s debt recast plan along with SBI Capital Markets Ltd in order to qualify for government funding until 2021. Operating profit is earnings before interest and taxes, while cash profit is earnings after tax and depreciation. Air India had earlier projected an operating as well as cash profit by 2013. The move comes as the government is considering measures to ease the burden on airlines, which are reeling from surging jet fuel prices and competition. Kingfisher Airlines Ltd has been the worst hit, with a cash crunch forcing it to cancel 50 flights a day, besides being pressed for payments by vendors. Relief proposals being debated include steps to reduce taxes on fuel and overseas airlines being allowed to take stakes in local airlines. Air India has accumulated ₹ 13,300 crore in losses since its merger with state-owned Indian Airlines in 2007. An RBI spokeswoman refused to comment. “The central bank has agreed to Air India’s proposal about loans to be not fully secured, subject to certain conditions," said one of the senior Air India executives, without elaborating on the conditions imposed by RBI. This person, who, like the other Air India executive, did not want to be identified, added that Air India had sought exemption from provisioning on account of diminution in the fair value of the loans to be restructured, but RBI suggested the money be set aside in eight quarters. There will be no escape from a downgrade in asset classification if dividends are not paid within 90 days of the due date. According to experts, this will not have a significant impact on Air India’s debt recast process. The banking regulator also refused to extend normal provisioning (0.4%) on the loans of Air India in place of the increased rate (2%) applicable to restructured advances. This will make loans more expensive for Air India because banks will have to set aside more money while lending to the carrier. Angel Broking’s Agrawal said this will increase borrowing costs for Air India in the short term. The central bank also turned down Air India’s request to apply the normal risk weight of 100% instead of 125% for restructured advances under the new capital adequacy framework. It also denied permission to classify the proposed cumulative preference shares in the “held to maturity" category instead of “available for sale’", thereby making them transferable. RBI, among other proposals, agreed to treat initial payments made by Air India to buy aircraft as not part of the restructured debt, because this would complicate purchases. Kingfisher had a similar debt recast in March. Following this, a consortium of 13 lenders took a 23.21% stake in the airline in April. In April 2010, Kingfisher converted ₹ 750 crore of ₹ 7,000 crore debt into equity at a 61.6% premium over the prevailing share price—Rs 64.48. Its debt rose to ₹ 7,544 crore at the end of September.